Communities We Support - Great Western Containers Inc.
Highlighted in this article is the work that was done in our Winnipeg Division. The team in Winnipeg decided that it was the year for ‘children’ and focused on charities related to children and youth. We chose two Manitoba charities; Macdonald Youth Services and Children’s Wish Foundation Manitoba Chapter. Macdonald Youth Services (MYS) is a long standing charity (since 1929) in many Manitoba communities providing emergency services to children and youth. Our employees collected items such as food, clothes and personal care items. Of the many programs and services offered by MYS, their Youth Emergency Crisis Stabilization System assisted over 4,800 children and youth in 2009. MYS has also been impacted with the recent economic crisis as donations and funding has dropped significantly. We were invited to take a tour of one of the facilities in Winnipeg and we’re struck by the overwhelming need that generally goes unseen in our daily lives and by the immense gratitude from the staff to our donation. 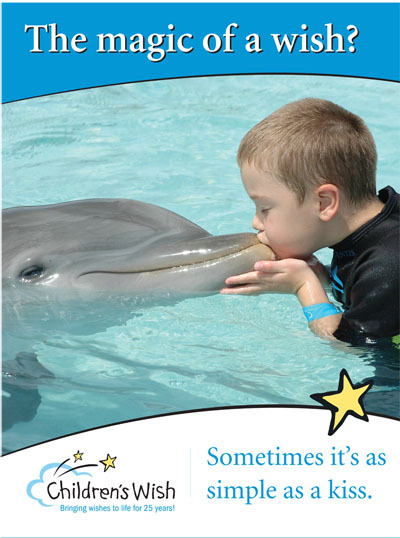 Children’s Wish Foundation (CWF) was an easy choice, long standing and widely accepted. We began discussions with CWF on having a Charity 50/50 that would see 50% be donated to CWF and 50% to the winner of the draw. Due to strict gaming commission rules we had to do some reorganizing of the draw where it would be CWF’s 50/50 draw and GWC would simply be the sole seller of the tickets – but the end result was still the same. The draw date was January 31st, 2011 and with the help of our co-workers, family, friends and customers we managed to raise a total of $3,300. The winner of the 50/50 draw was Elman’s Food Products, a long standing and valued customer! Millie Krause, the owner, was at GWC recently to accept her $1,650 cheque from the Children’s Wish Foundation and in true Manitoba style turned around and donated it right back to the Foundation! All the money raised in the event will go to fulfilling a wish for 5 year old boy named Kaden. Kaden, who has suffered from kidney disease and recently undergone a kidney transplant, wants to go to Disney World. We feel privileged to partner with such worthwhile charities and we plan to continue with both charities in 2011. We look forward to another successful Holiday Challenge! Letter From Children’s Wish Foundation.